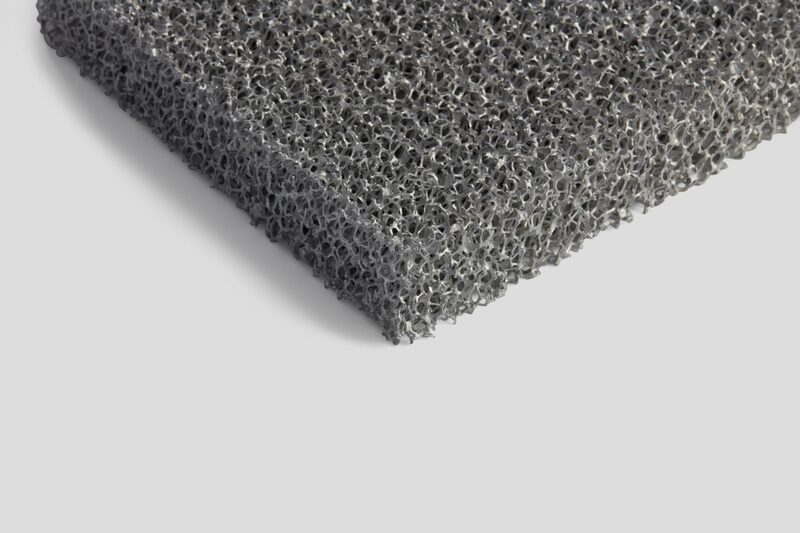 Aluminium foam is a solid material made from aluminium that is filled with pores. These voids fill up to 95% of the material in two different kinds of structures. They can be interconnected in an open-cell network or they can be sealed off from each other in a closed-cell structure. The first method injects gas into metallic melts and as the gas bubbles through the molten metal it forms a foam that is then removed using a conveyor belt and allowed to cool. The second method incorporates a chemical blowing agent, traditionally titanium hydride (TiH2), which decomposes in the melt, producing gas bubbles. The closed-cell aluminium foam is widely applied as a light-weight construction material. 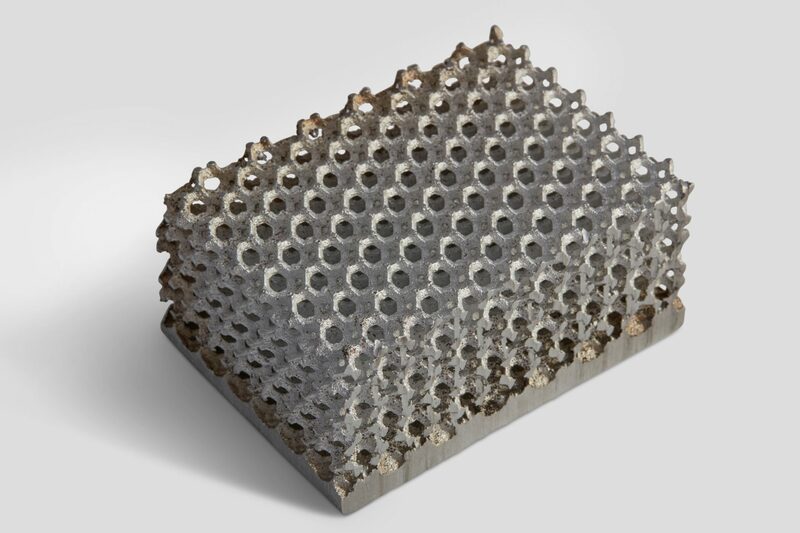 Usually, the metal foam is sandwiched between two dense aluminium sheets to achieve the required stiffness. These composites have resulted in significant weight reductions in automobile car body parts, and have already been applied by Audi, Bentley and Ferrari. They can absorb a large amount of mechanical energy when deformed and are therefore an attractive material for impact energy absorbers. The fact that it doesn’t spring back like a polymer foam can prevent secondary damage. The open-cell variety is ideal for vibration and sound absorption, filtration and catalysis at high temperatures, for heat exchange and in medical devices.